You are currently browsing the tag archive for the ‘jar’ tag. At home, we like to keep our fruits in a decorative bowl right on top of our kitchen counter. Although the fruits may be pretty, they attract a lot of fruit flies. While the fruit flies aren’t entirely harmful, they are annoying, especially during hot weather days. We don’t have screens on our kitchen windows (we took them out to wash the windows & screens & haven’t put them back on since then). So, we don’t open our kitchen windows, even in the summertime, for fear of inviting more flies into our kitchen. However, those pesky fruit flies seem to know how to weasel their way back into our kitchen. 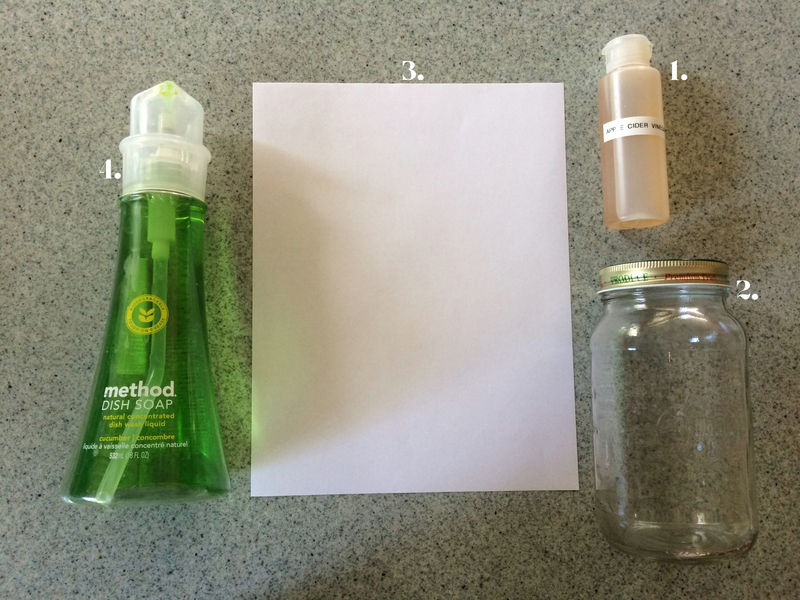 Luckily, we found these two separate articles from Apartment Therapy on how to make your own fly trap. All it takes is a few simple materials & boom! Your fruit fly problem is practically over. Roll the piece of paper into a cone-like shape, to create a funnel effect. 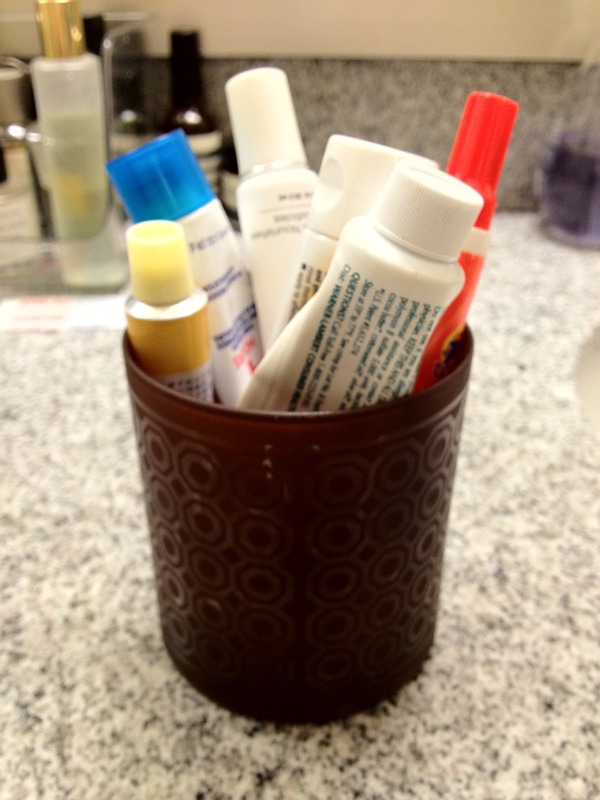 Make sure you keep the shape loose enough so that it fits around the inside rim of the jar/cup. Place a 1-2 small drops of dish soap to break up the surface tension made by the vinegar, so the flies won’t sit at the top. The flies will go through the funnel, but will have no way out. Place the trap anywhere in the kitchen (or around your home) & watch the flies (pardon the pun) ‘drop like flies’. This is optional, but you can also add a small piece of fruit into the jar/cup to attract the flies faster. We used dates at the bottom of our trap. 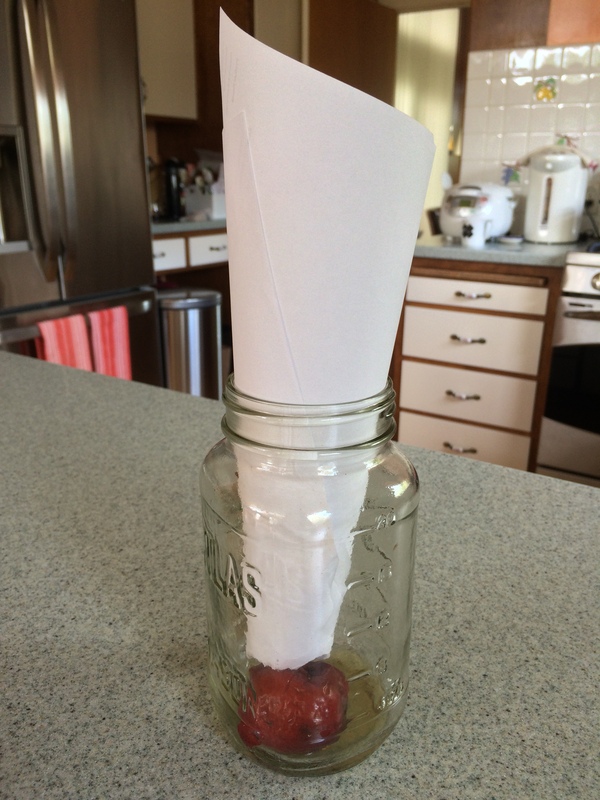 After making this at-home fruit fly trap, we have seen a steady decline of flies in our kitchen. I would definitely recommend trying this out for yourself & see what happens. Cheers.